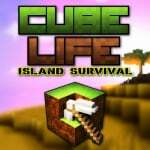 Slovakian indie developer Cypronia have revealed to us that its upcoming Minecraft-like game Cube Life: Island Survival will be hitting the North American Wii U eShop on Thursday 4th June; it'll cost $6.99. The title offers crafting with over 200 items and tools, wild animals to fend off, local inhabitants (which you'll be able to trade with or slaughter, depending on your mood), a day/night cycle and internet rankings. Cube Life will go head to head with recently released Stone Shire on the Wii U eShop, along with Cube Creator 3D, another Minecraft-inspired release available on the 3DS eShop. 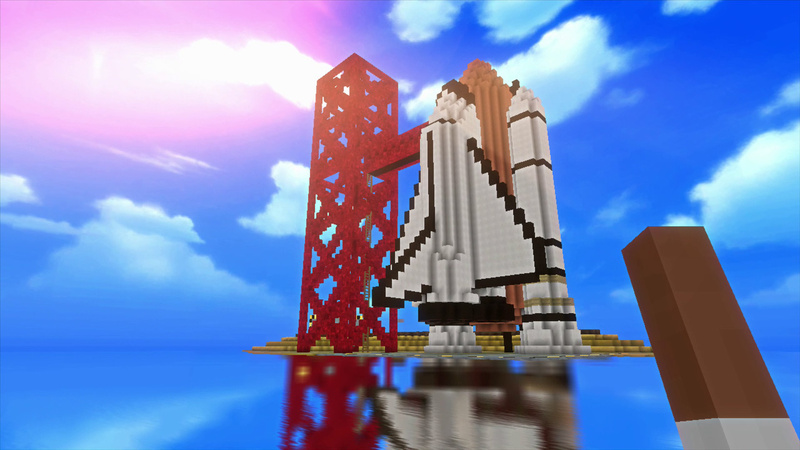 Could Cube Life be the Minecraft clone which Nintendo fans have been waiting for? I guess we'll know soon enough. I've actually never played Minecraft, so I'm not entirely sure what the fuss is all about. But I figured if Mojang ever released it on a Nintendo platform I'd try it out. And then Microsoft bought them out, so that's never happening. Now I figure I'll wait until a bunch of these clones release and I'll buy and play the one that reviews best. I always thought it was funny that simply by buying Mojang and doing nothing Microsoft decreased sales potential for Minecraft after everyone lost hope and started making (and funding) clones. Now unless if they release Minecraft of the eShop right now, no one will get it because they already have the clone. The trailer showed good visuals, responsive controls, action, and lots of content, and the launch sale price is great. Will it be a fun Minecraft substitute for the price? From what I've seen, yes. Nice to see it coming next week! Hope it turns out well! @Savino Hi. Multiplayer is not finished from our side yet, so we are not able to publish the final words. But, local multiplayer looks promising, one player with Gamepad, the second with Pro controller + TV. We would really like to implement online multiplayer, it is not easy, but we will do our best. At least for 4 players, ideally for 6-8 players. How long we plan to support the game? It depends on you - Nintendo players. We plan to support the game for entire 2015 for sure. If there is interest from Nintendo community by bringing us fresh ideas and lot of feedback, the support will last one year since release - at least! I wonder what the online rankings are for? I've not had any interest in playing minecraft whatsoever , but I am interested in this title looks and sounds really good day one purchase for me I hope it's as fun as it looks to be the price is great as well . @Cypronia. I agree with Savino that local MP is most important so please make it good. Darren forget to mention Battleminer. It predates Cube Creator on the 3DS, and recently had a nice update. There will be a nickname along with days survived, actual level and experience. @Savino Thank you very much for very kind words. There are many of you asking for new skins, so it is a signal for us to think about it. And Of course, the video is just slowed down to create a slow-motion effect. Be sure game works very smooth, 30+ frames per seconds! Thank you for supporting us! We really appreciate it. @Cypronia cool! Sounds a lot of fun can't wait to play it. And what about Battleminer, also on the Nintendo 3DS? By the way, wasn't Stone Shire supposed to have a Nintendo 3DS version as well?